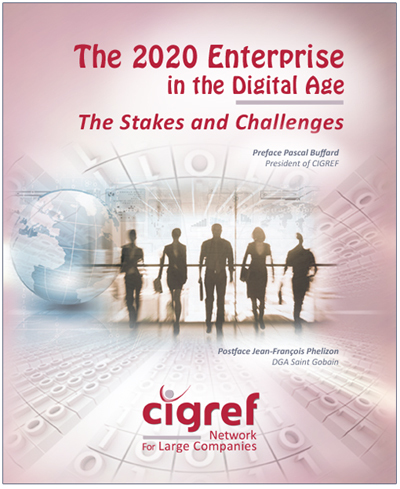 CIGREF published its new document «The 2020 Enterprise in the digital age. The stakes and challenges». Preface by Pascal Buffard, President of CIGREF and Postface by Jean-François Phelizon, Deputy Chief Executive Officer – Saint Gobain. “This new publication is an overview of the ideas and contributions of our 139 member organisations. Targeted at directors and collaborators of our companies, our goal is to create a view of the strategic and managerial issues which businesses will face as 2020 approaches, and of the challenges they will need to take on. 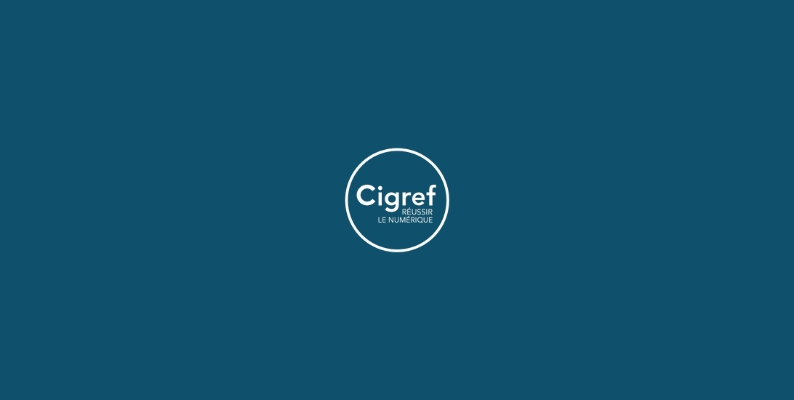 Our publication stems from the results of the CIGREF Foundation’s ISD programme (Information Systems Dynamics), and also from reports issued by CIGREF workgroups, contributions from IT departments and from the ecosystem of the various yearly meetings. Finally, this publication draws on CIGREF’s unique outlook on the IT function within our companies. -The stakes brought by the digital for the Enterprise in 2020: what’s to gain or lose by either taking or avoiding action? -The challenges raised for Executives: a set of obstacles that need to be overcome to reach a certain objective. Part Two is devoted to the contribution of the IS function to the digital transformation of companies“.